KADataScience: Come be part of the team! At Khan Academy, we have a lofty mission: A free world-class education for anyone, anywhere. As you might imagine, this is a very broad mandate! In order to make an impact of this magnitude we’ll need all the help we can get to expand accessibility, provide educational value, and meet the learner where they are. On the Data Science team we’re working full tilt to measure key metrics and analyze or model user behavior to guide this important mission, but there are always more students to reach, more subjects to teach and better interventions to try. Do you have strong analytical skills to bring to the effort? If so, read on. 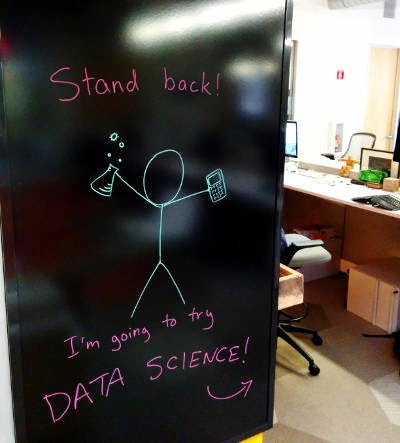 So, what does a data scientist at Khan Academy actually do? As a functional specialty within the product development team, we bring our unique analytical skills and perspective to new site features (for example, the Learning Dashboard, introduced fall 2013) or to the development of new educational content (the 7,400+ videos and 2,200+ exercises that promote and assess learning on the site). We design and run experiments to test site improvements and then analyze the results. We collect and report data on how the site is currently being used to inform current work or future projects. We also build and maintain infrastructure that automates some of the work and makes deeper analysis possible. Do we use fancy-pants probabilistic models and machine learning algorithms? You bet! However, much more often the clearest insights are gleaned from simple models and careful analysis of the vast amounts of data the site accumulates each day. With over 3 billion problems done on the site to date, even the subtlest of improvements can be demonstrably significant, allowing us to put the latest pedagogic theories from academia to the test. For example, we’ve taken Dr. Carol Dweck’s research on Mindset and tested it in the real world. And we continually improve our recommendations system to reduce frustration and accelerate learning. Since Khan Academy is a non-profit, we can focus entirely on optimizing for individual learning and overall social impact rather than advertising clicks or revenue per user. We’re looking for strong analytical skills, both in the analysis/metrics domain (for the Product Analyst role) and in modeling (for the Data Scientist and Engineer role). You’ll be working closely on projects with other developers and will need to be able to hold your own writing production-ready code. And above all you will need to communicate your findings with your teammates and others in the company so we can act on your insights together. Hey Khan Academy! I'd love to apply for a data science internship over summer. But I'm not sure how to trade off time spent improving my application (getting to know different languages, building cool things to put in my application, etc) against not missing a deadline. Is there a rough date that I should try to apply before? There's no hard deadline, but we could end up having a full intern class - we value mentorship and don't want to take on too many interns at the expense of giving each intern individual mentorship. Having a few interesting projects to talk about is a great help in an interview though, much more important than knowing lots of languages. Looking at the basic model of Khan Academy I realize how one organization in India is trying to achieve a similar objective through a non-digital environment. I was a part of this organization and would love to know if there is a prospect of collaboration. 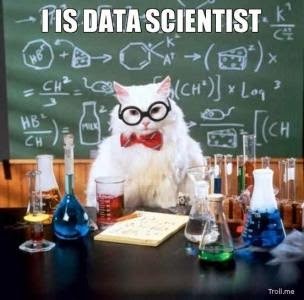 I am also a prospective applicant for the data science internship. For now, trying to build on my skill set but I have applied with whatever I have. I am looking forward to hearing from your team. I'm looking to apply for an internship for the winter term(January to April) as part of my co-op. Does Khan Academy offer any data science(or software) internships for that period?